Blog > Announcement > Announcing Paintbox Socks! 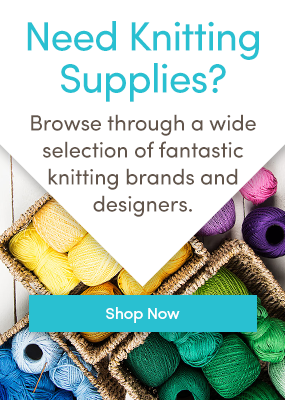 Paintbox Yarns – the go-to brand for knitters who love lots of colors, and good value – has announced the launch of Paintbox Socks! Available in seven colorways across four different pattern styles for a total of 28 unique designs. Paintbox Yarns Socks comes in four exciting stories: Zebra, Fair Isle, Stripes, and Pixel! Each story contains seven fabulous colorways in this hardy 75% super wash wool, 25% polyamide sock yarn! Zebra creates fabulous zebra stripes as you knit in glorious colour combinations! Fair Isle creates a print effect combining your favourite Paintbox shades! Stripes includes gentle ombre shades alongside defined self-striping Rainbow, Summer Vacation and Autumn colourways..
Pixel produces seven different colours of a gorgeous, gentle speckled finish. Along with this gorgeous new yarn, Paintbox Yarns has designed two fabulous FREE sock patterns to download as well! This lovely free pattern has a 2×2 ribbed cuff, classic turned heel and grafted toe, and a sweet little cable running down the outside edge of the sock from cuff to toe. These socks will look divine in any of the Paintbox Yarns Socks colorways! Knitted top down, The Essential Sock has a 2×2 ribbed cuff, with a classic turned heel and grafted toe. The pattern contains step-by-step instructions, and you’ll need 2.25mm needles (either DPNs or circular if you prefer the magic loop method). The pattern includes two sizes to measure 20 (22.5) cm or 7 3/4 (8 3/4) inches around the foot. Check out all of the amazing colors and styles here! If you’re new to sock knitting, we’ve got a step-by-step video tutorial guide for you here!